By championing her company’s Escalate and Give Back program, CEO Kimberly Arnold is committed to corporate citizenship and giving back. Clearly, she is setting the pace as one of the Rocky Mountain region’s most engaged and emerging community leaders. Kimberly and her firm consider and provide donations, mentoring, time and other support services to entities associated with the priorities of education, women in business, entrepreneurs, emerging leaders/millennials, life-threatening illnesses and individuals with disabilities. The Denver Business Journal celebrated Kimberly as one of its 2014 Outstanding Women in Business recipients, acknowledging her intersecting of entrepreneurship, business causes and philanthropy as one of the reasons for her recognition. 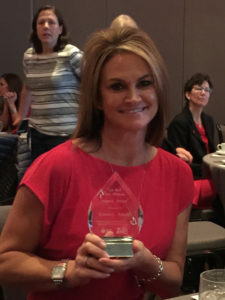 Kimberly served as the Chair of the Circle of Red Society for the American Heart Association | American Stroke Association in 2014 and 2015, and was a two-time member of the Executive Committee for the Denver area’s Go Red for Women Campaign. The American Heart Association | American Stroke Association recognized Kimberly with its 2015 Impact Award / Individual Volunteer of the Year. Also in 2015, Kimberly was recognized for her contributions to Colorado Women’s Chamber of Commerce as the CWCC’s 2015 Ambassador of the Year. 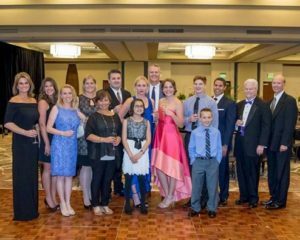 Kimberly was recognized as the 2016 Woman of the Year by The Leukemia & Lymphoma Society for her leading fundraising efforts for the Rocky Mountain Chapter’s annual Man & Woman of the Year campaign. Kimberly has also served as a mentor in 2014 and 2015 for the American Business Journal’s national BizWomen initiative, and helped found an industry organization for emerging leaders and young professionals. 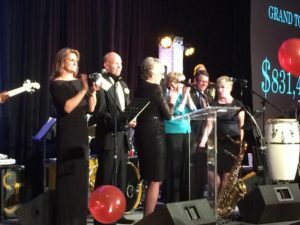 She has supported and advocated for a number of women’s organizations within her core industries, and is a Lifetime Charter Member of the Women’s Leadership Foundation – the 501(c)(3) arm of the Colorado Women’s Chamber that runs the Board Bound program to promote female leaders on corporate boards. She was a nominee for the Denver Business Journal’s annual Partner’s in Philanthropy Corporate Citizen of the Year Award in 2015. A comprehensive listing of the organizations supported by Kimberly and Escalate Solutions throughout the past few years – through direct involvement or in-kind donations – is featured below. Additional suggestions are encouraged.